If you want to excel in sports, you need to start learning the basics from a very young age. The early years in school are the best years to do the same. In India, sports at the grassroot level remains a bit disorganised. Girls who take up sports from the schooldays get a bit sidelined from their education, which, at times, discourages them from involvement in sports in the long run. In this regard, the government should make sure that it provides funding for a comprehensive sports programme at the school-level. This will not only encourage women's participation in sports, but will also help produce a steady stream of quality athletes in the long run. On the other hand, I feel the quality of infrastructure has improved a lot in recent years, but young female sportspersons, especially footballers, need more coaching avenues to learn their trade from. The government needs to lend a helping hand to sports governing bodies in this regard. 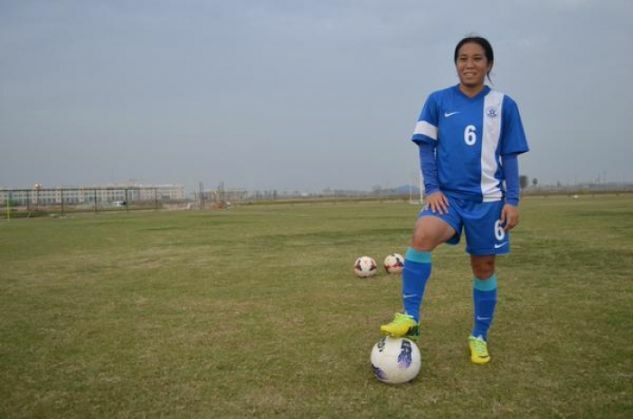 When it comes to football, the women in the sport in India need to face more competition to improve themselves. Two things need to be done for the same: firstly, the government needs to support the All India Football Federation (AIFF) financially to help start a national league. Without a league, it's difficult for us women to compete with countries which have proper professional structures. Secondly, the women's national team needs to go for exposure trips to prepare for the major events. The government can help by providing grants to AIFF for the same.